Buenos Aires, Argentina (August 22, 2016) - The Latin American Effie Awards, which celebrates the most effective work in the region, has announced the complete list of finalists in the inaugural competition. 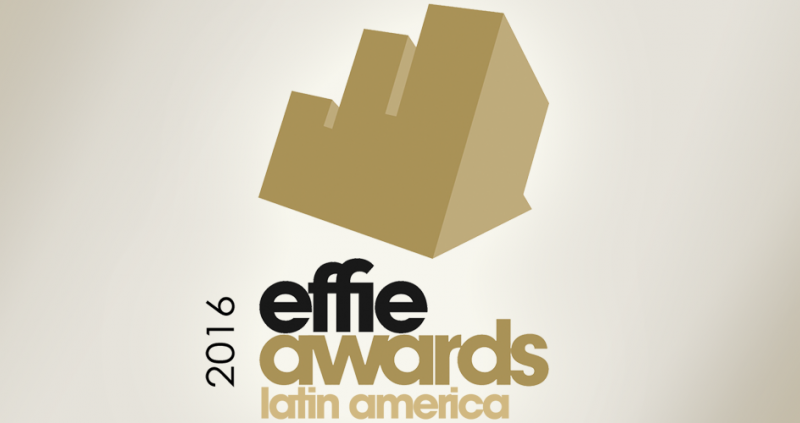 Winners of the 2016 Latin American Effie Awards will be announced during the Awards Ceremony to be held September 28 at the Colombian Congress of Advertising, Cartagena Inspira. The Latin American Effie Awards program, run in partnership with Adlatina, aims to strengthen and celebrate best practices in the industry, maintaining the spirit of Effie around the world. The inaugural program saw vigorous participation by teams throughout Latin America to enter their effective campaigns. A jury of leading marketing executives from client and agency companies across the region assessed entries in two rounds of judging. Finalists in the competition highlight work from Argentina, Brazil, Chile, Colombia, Mexico, Peru and Puerto Rico, among other countries in the region. Both finalists and winners of the Latin American Effie Awards program will be included in the Effie Effectiveness Index, identifies and ranks the most effective agencies, marketers, brands, networks, and holding companies by analyzing finalist and winner data from Effie Award competitions around the world. There are more than 45 Effie programs around the world, including 11 programs in Latin America. The Effie Index, which is announced annually, is the global ranking of effective marketing. Among his recent winners include Coca-Cola, BBDO, WPP and Unilever, among others. To learn more about the Latin American Effie Awards, visit www.latameffie.com. Adlatina Group is an influential and regional media company that produces relevant news publications with the most updated information about advertising, marketing and communication with exclusive articles and extremely rigorous journalism. It holds the reproduction rights of Ad Age for the entire Spanish-speaking Latin America. Adlatina is one of the most relevant media groups in the region. The company’s portfolio includes: Adlatina Magazine (bimonthly publication); Crema (Creativity Yearbook), Standouts Magazine (highlighting Latin American outstanding cases in partnership with Advertising Age); Filmlatina (portal aimed at the video advertising production industry); Marketers by Adlatina (website that covers information aimed at marketers from the Latin American region). Adlatina Group also has an event division that produces Women to Watch Argentina and Mexico – a distinction to recognize and honor women who are making a mark in the marketing, advertising or media world, in partnership with AdAge – and the Effie Awards in Argentina.